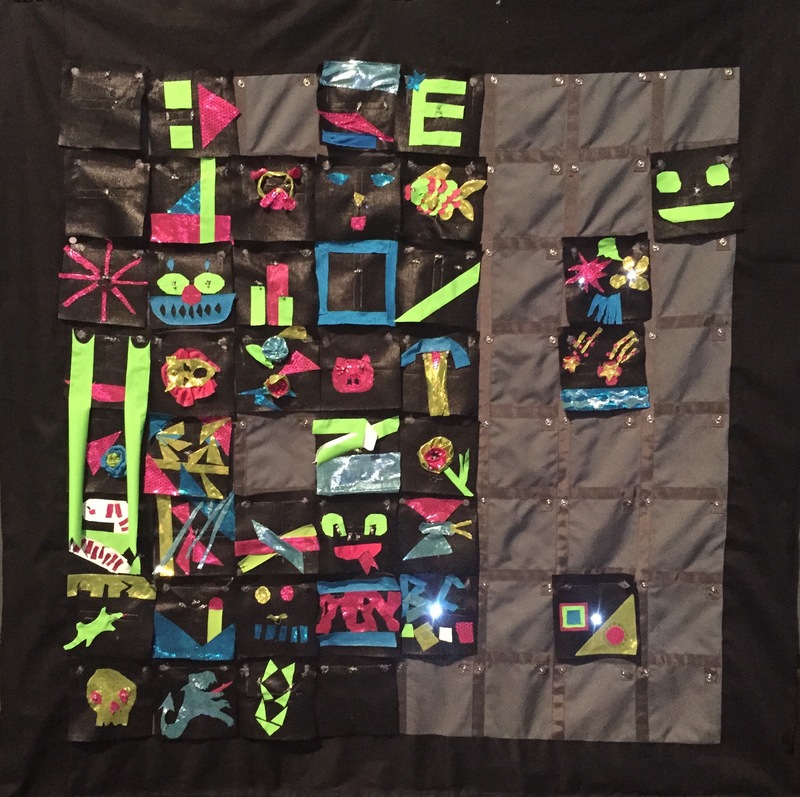 Patchwork is an evolving artifact using a quilting metaphor to create ambient displays. Participants are invited to build squares of the quilt in a drop-in workshop format, adding and replacing display units. The result is an interactive textile display that changes over times based on participant contributions. The quilt base is created with conductive fabric, thread, snaps, and conventional fabrics. When finished squares (containing up to 9 LEDs) is attached to the quilt base the attached LED(s) illuminate according to pre-set patterns that can be altered by sending SMS messages to the quilt. Patchwork by Katherine Moriwaki & Saman Rezazadeh Tehrani from Katherine Moriwaki on Vimeo. Patchwork was exhibited as part of Making@Siggraph, at Siggraph 2015. This entry was posted in Projects on August 14, 2015 by admin.